While politicians remain at loggerheads, the arts bring resolution to the Basque Country's long history of violence. Western Europe's last remaining home-grown terrorist organisation finally ceased operations in 2011 when Basque separatist group ETA declared a permanent ceasefire. And yet the decades of violence continue to cast a long shadow over Basque society and political life. As politicians on both sides remain as antagonistic as ever, novelists and other writers are taking on the challenge of tackling the subject with far more eloquence and nuance, telling stories that could provide a much-needed form of remembrance, catharsis and understanding. Fernando Aramburu's novel Patria (“Fatherland”) is a stellar example – and sets the bar high for others to follow. First published in Spanish in September 2016, it has reached a wider audience than novels on the subject written in Basque, and it has topped the bestseller lists – not only in the Basque region, but also in Spain every month so far this year. This is the novel that Spaniards are reading on the metro or bus on their way to work and packing in their suitcases to take on holiday. Translations into several other languages are now underway, including an English edition set for publication in 2019, the author told me. In the past decade, Spain has been coming to terms with its 20th-century history of civil war and dictatorship, ever since the historical memory law of 2007 put an end to the unwritten agreement known as the “pact of forgetting” that had facilitated the transition to democracy. Now, Aramburu has recognised that in the wake of ETA's permanent ceasefire, there is another story that needs to be told and remembered in a sensitive and reconciliatory fashion. This cannot be achieved by politicians fighting over how best to facilitate ETA's disbandment and address the legacy it leaves. It must be writers and other cultural practitioners who do that. Originally founded in 1959 in opposition to Spanish dictator Franco's suppression of regional identities, ETA persisted with its campaign of violence well into the 21st century, long after Spain's transition to democracy. The separatist group has not killed since 2010, but its disarmament was protracted until April this year and its full disbandment remains pending. Moreover, politicians and society remain divided over controversial issues such as the treatment of ETA prisoners, who under Spanish law have their rights reduced and are subject to policies such as dispersion. For too long, the Basque “conflict” was primarily portrayed, in a misleadingly simplistic fashion, as pitting Spain (or “the Spanish state”, as Basque nationalists put it) against the Basques. ETA itself, and the wider social and political movement linked to it, was responsible for propounding this vision to justify its existence. But sectors of the Spanish right then compounded the error by associating all Basque nationalism with ETA for their own political motives. In reality, however, one of the biggest tragedies caused by ETA is that it also pitted Basques against Basques. Patria eloquently draws attention to this through its depiction of the impact on a typical small Basque village (which could be any one of many), focusing in particular on two once closely knit families that are torn apart when the father of one family ends up an ETA target while the eldest son of the other joins the terrorists. It is not only the relationship between the two families that suffers, but relations among parents and siblings within each individual family, too. Aramburu is sensitive and sympathetic towards ETA's victims and their families, and he conveys their suffering with tremendous poignancy. His real achievement, however, is to do so without descending into facile moralising or politicising. He shows the full complexity of the tragedy by seeing things from different perspectives. This includes reflecting the way in which many naïve young Basques, brought up in pro-ETA towns and villages and subject to intense peer pressure, ended up buying into ETA's ideology and somewhat unthinkingly obeying its orders. Terrorism is unacceptable in any circumstances, but Spain's way of dealing with it has not always been appropriate either – and Aramburu does not shy away from depicting the torture used on ETA prisoners or the violence wrought by the GAL, Spain's covert paramilitary death squads back in the 1980s. This is first and foremost a novel of excellent literary quality that the reader is compelled to keep reading to find out what happens to the two families and whether there is any hope of reconciliation after ETA's reign of devastation. The novel starts with ETA's ceasefire and then darts back and forth to different periods of time in each chapter, telling snippets of the story in a non-chronological and non-linear fashion, keeping the reader waiting until the very end to get the complete picture. Aramburu never intended for the novel to be political or didactic, but precisely for that reason, the end result can actually serve a much better purpose than most intentionally didactic novels. Propagandistic Basque novels portraying ETA terrorists as heroes or martyrs have tended to be intensely bad literature. But a brilliantly written novel such as Patria provokes the reader to think and reflect without him or her necessarily realising it. For Basque citizens, the novel provides a sensitive portrayal of their community and its recent history. 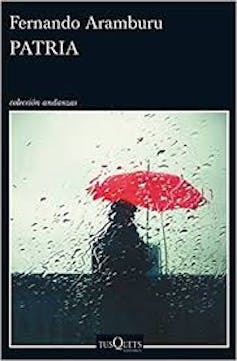 Perhaps even more significant, however, is the way in which the novel can contribute to an understanding in wider Spanish society of the complex social situation in the Basque Country prior to, and in the wake of, ETA's ceasefire – something which is often quite misunderstood, due in part to Spanish politicians' simplification of issues for electoral purposes. Once translations of the novel start to appear they will promote understanding even beyond Spain's borders, while also providing a compelling read. Through its popularity, Patria has far surpassed the author's own expectations. Aramburu himself has aptly described this work as escaping his creative control as it becomes a social phenomenon with a life of its own. Spain may have been rather late in confronting the ghosts of the civil war and Franco period after years of attempting to brush them under the carpet, but lessons have been learned. Patria provides a healthy dose of understanding and remembrance about the Basque Country's violent past by a writer who is well aware of the need to talk of the past sensitively, all the more so when politicians remain at loggerheads.